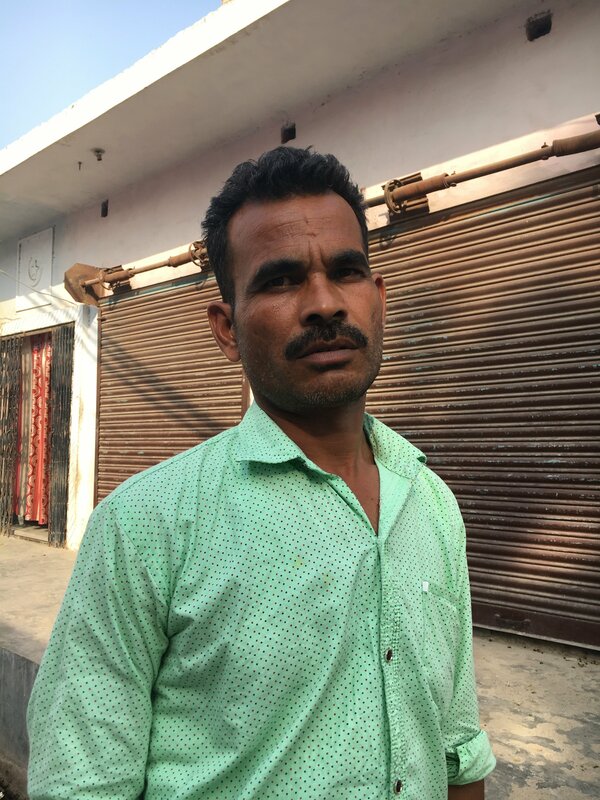 In this three-part series, Migrant-Rights.org looks at the migration of already marginalised groups from one of India’s least developed states. Uttar Pradesh (UP) is India’s most highly populated state and its fourth largest in size. It is also one of the poorest in the country. According to a recent study, while India’s ranking has risen in the Multidimensional Poverty Index*, this improvement was largely due to southern States, with those like UP, where 31% of the population are classed as multidimensional poor, continuing to flounder. Throw into this mix, the fact that UP is the single largest sender of migrants in the ECR category. ECR (Emigration Check Required) passport holders are those who do not have a high school leaving certificate and hence are considered unskilled and often employed in lower-income jobs. 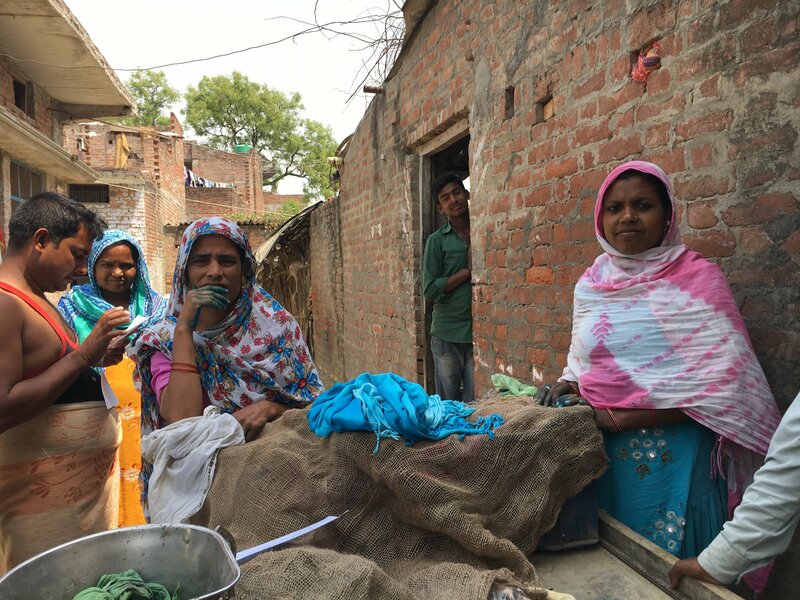 None of this information bodes well for the most socially and economically marginalised communities within the state – the Muslims and the Dalits who constitute close to 40% of the population. Increasingly, cross-border migration is seen as the only alternative to escaping dire poverty as there’s no trust in federal instruments that promise jobs and development. Saudi Arabia, because of Islam, and Dubai, because of its glitz, have always been a draw for migrants from Uttar Pradesh. But it was nowhere close to the numbers one saw from the southern parts of India, particularly Kerala. That trend is now changing due to a combination of factors: dwindling livelihoods, real and perceived socio-economic insecurity, and an ever-stronger underground recruitment network. Migration is not discouraged, and the government is trying to weld together its skills development, national employment and migration strategies. Stories of Origin wraps up with a deep dive into the lives of the people from these parts. Janakipuram is an area on the outskirts of the capital city Lucknow, which is also known as the city of Nawabs. Lucknow was a key outpost in both Mughal and British India, the vestiges of which are still visible. Recent investments have ensured a fairly good infrastructure too. Janakipuram is a contrast. A short diversion from the crowded market areas and the highway, you enter a time warp – a grid of dirt roads, lined mainly with mud homes, and a moat of open drain. Children, goats, and poultry alike roll around in the dirt. It takes a while to process the din – the uncontrolled giggles of the children, the competing bleating, and the disembodied chatter of young women from behind doorways and curtains. You see a few women on the streets – the old, and the young with children old enough to give them the liberty of being publicly visible. The rest are mostly young children, boys, and men. Abdul Aziz and Fadrunissa have sunk their savings into a failed migration attempt by their son, Saddam Hussein. 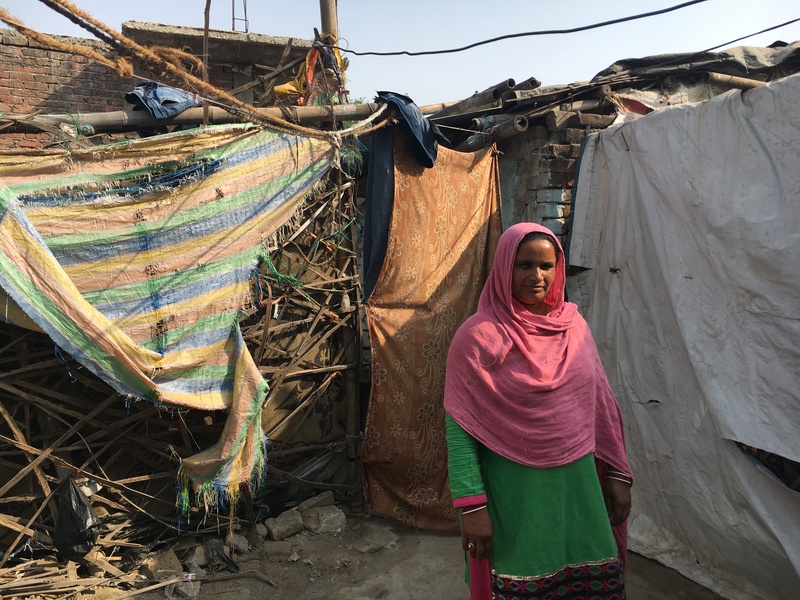 Afsar Jahan has five children, and her husband had to go to Saudi to work, as it was impossible to make ends meet on the wages earned at home. Sarfudin, a village elder, give a sympathetic ear to the woes of his community, but is unable to help them. 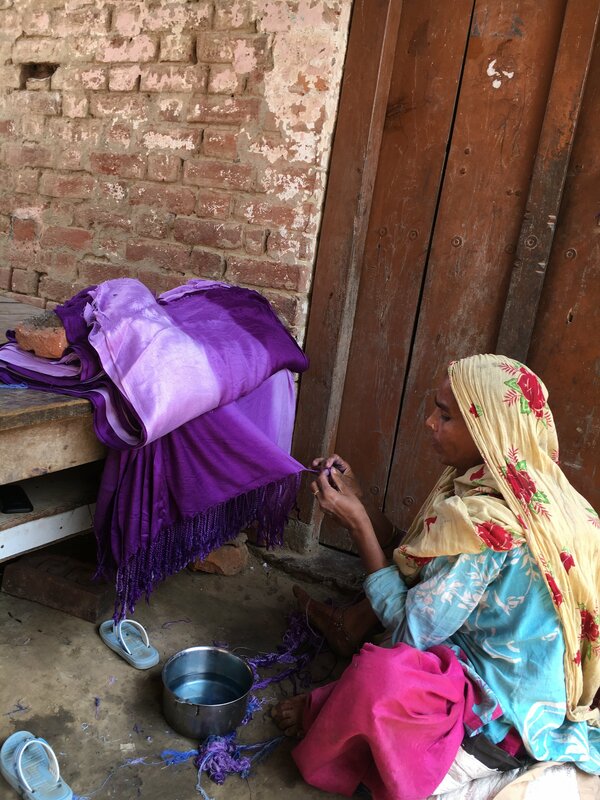 The women are busy with their embroidery (zari and zardosi work) and dyeing of stoles. Some men are working on the stretcher bars – large, locally devised embroidery frames, while others have set up their sewing machines under the shades of trees in the community courtyards. The community refers humbly to their collective vocation as tailoring. What they do is more than stitching together pieces of fabric. It’s art. Intricate needlework, silver relief on different kinds of fabric, stories in thread. Every front room has these frames, and children as young as six or seven start working on it. It’s a tradition and a habit, but no longer a livelihood. For that, the community has to seek seasonal work in neighbouring agricultural plots or migrate abroad. Abdul Aziz’s trajectory was slightly better, to begin with. He was a driver in government service and is now a pensioner. Much of his savings were lost when his 24-year-old son Saddam Hussein tried migrating. Fadrunissa is the most vocal in the family. She has seen both her husband’s savings and her son’s dreams disappear. About seven months ago an agent from Aliganj, Lucknow came with a proposal. For a sum of money, he would get Saddam to Saudi Arabia. Saddam had completed a computer course and hoped to be employed as a computer operator. 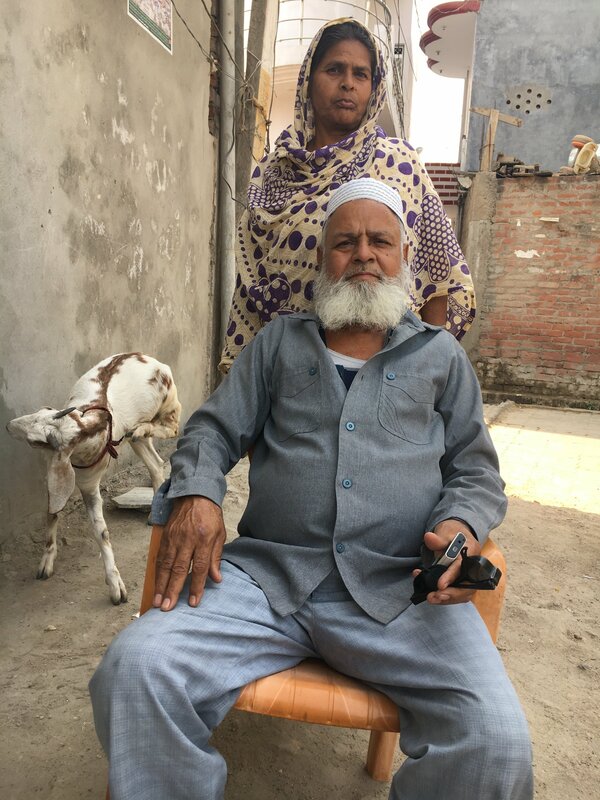 “He (the agent) first took Rs10,000, then 50,000, then 15,000… and I spent a lot of money buying him [Saddam] clothes, toiletries to take with him,” says Fadrunissa. Abdul Aziz walks up to the corner of the crossroad where chairs have been pulled up on a flattened part of the mud road. “He [Rafiq] was his relative,” she says, pointing to her husband. “I have seen a copy,” Saddam says in a faint whisper, breaking his stoic demeanour. He has lost interest in going abroad now, worried he would land in the wrong job. “Definitely will not send him to Saudi… maybe Dubai,” his mother says hopefully, as Saddam walks away. Afsar Jahan takes the just vacated seat. Her ‘piya’ (beloved) is in Jeddah, working as a driver. The 45-year-old does not say his name. “Shakeel Ahmed,” another neighbour offers, as Afsar giggles. In this community, there is no personal business, everyone has an opinion on everyone’s affairs. So while gaps are eagerly filled, it’s a patchwork quilt, with loosely knotted ends and frayed edges. Someone urges her to talk about Shakeel’s first stint abroad. 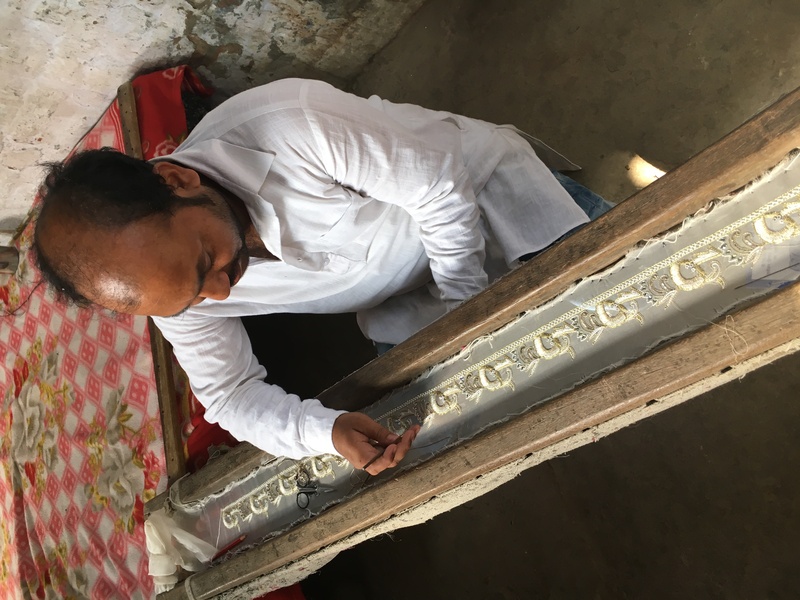 Afsar and Shakeel have four daughters and one son, and though their family, like the rest in the community, were into zari work, it’s no longer lucrative. That’s the refrain in this area. Some take up driving, many go to Saudi and UAE to work as tailors and embroiders in small or home businesses. It’s the beginning of summer and vegetable vendors ferry carts of cucumbers. Some have it salted, some have it plain. Crowds gather around the card, goats in tow. Everyone knows that people are being interviewed about their Gulf experience. Everyone wants theirs heard. “Saudi is not the same,” one says. A few others nod in agreement. “It was becoming too liberal,” another adds. The conservative ethos they were familiar and comfortable with is waning. “Women are going to drive there,” one notes with disapproval. And also a note of fear, as that would eat into the livelihoods of many of the men who go there as drivers, making mobility possible for the women there. Every home has a zari frame, but none are able to make a livelihood with the skill. 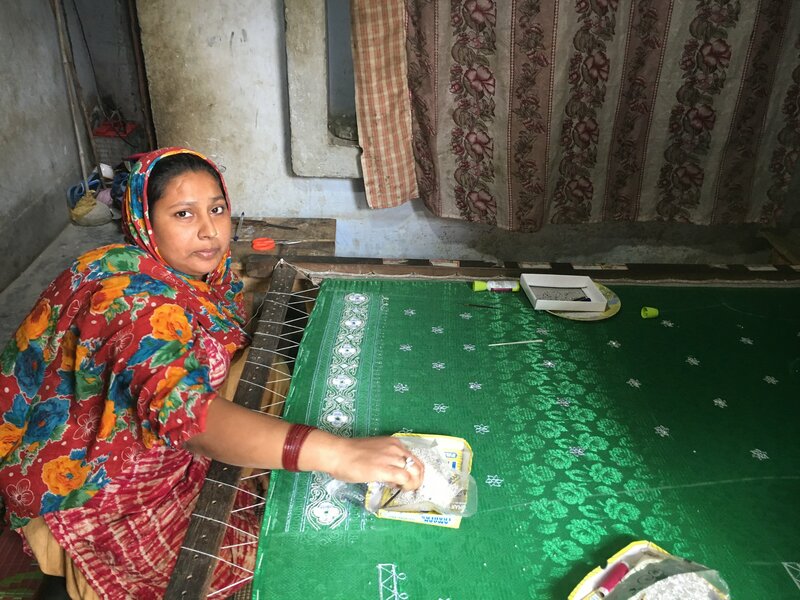 Every family has a member working in the Gulf, and the women left behind earn pittance for their dyeing and embroidery work. A middleman brings a pile of stoles and scarves to the village. The women receive a rupee per piece, to dye and knot fringes. 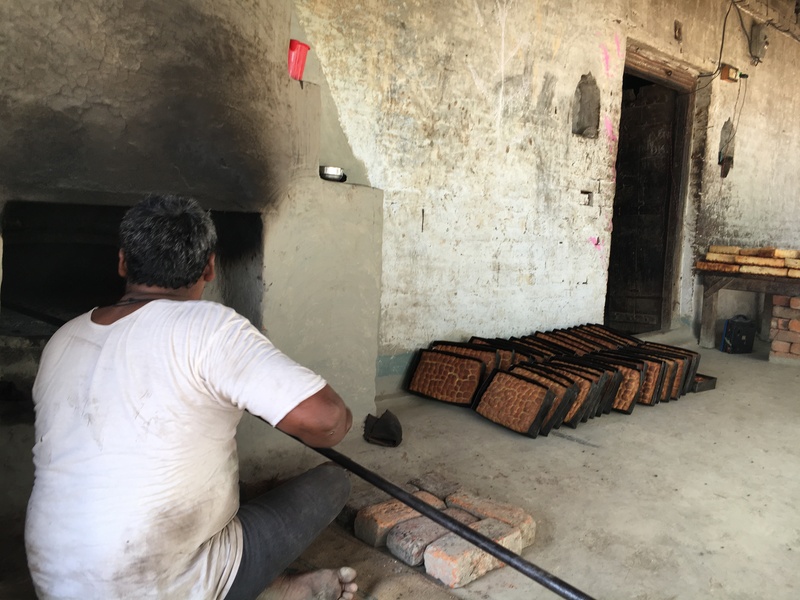 Pav or buns being baked for distribution in local shops. Not many have diversified from zari work and migration. Mohammed Salman was the driver of the taxi hired for a day. Slight of build and garrulous, the 24-year-old eavesdrops on the conversation and injects himself. He boasts of his exploits when he worked as a driver in different households in the Gulf and provides his unsolicited advice to everyone we interview on the day. “I spent 18 months in Saudi and 13 months in Dubai. But what’s the use. So many pretty women, and you can’t even look at them. Just stay in India.” He would repeat this often, a bait and a warning rolled into one, to the googly-eyed youngsters eager to go to ‘Jeddah’ – a catchall name for anywhere in the Gulf. Barabanki is just an hour’s drive from Lucknow city. The famous Dewa Dargah is the pride of the district. Bareti village is not far from the dargah. 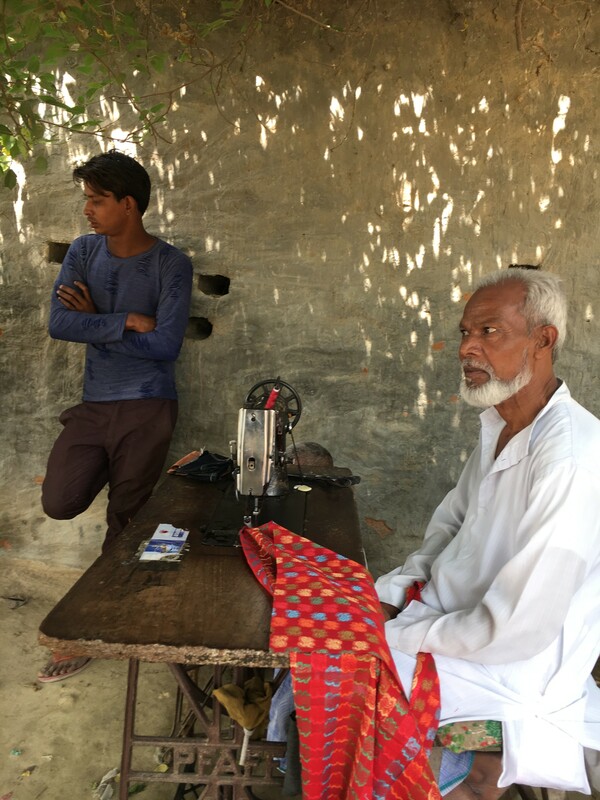 An elder in the community, Sarfudin sits at his sewing machine in the shade of a tree outside his mud home. Every home in this village too has a frame and hands on deck. He lends an ear to the woes of his community but holds back from offering any big advice. There’s a daily struggle to make ends meet; a growing inclination to go away; and an increasing frustration with the agents. The dyeing and fringe-knotting of shawls, for instance, fetch just a rupee per piece. That’s 1 cent. The final product sells for anything between USD 5 to even USD 50 in the international market. For zari work, the rates differ based on the intricacy of the work. But in a good week, the earnings are no more than a Rs1,000 (USD14) per family. When it’s a bad week, which it is more often than not, earnings are nil to 300. It would probably make sense to make a co-operative, so when work orders come in from the towns and cities, the rates could be negotiated better. Often the competition for that order is a race to the bottom. Sarfudin thinks a while and shakes his head. This is not a new idea. But agents are trusted with large sums of money despite mounting evidence against them. A group of children hang around, curious about this strange mix of people – some with questions and one (Salman the taxi driver) with stories aplenty. The children are multi-skilled. At five or six years of age, they start learning the zari work. And at harvest time, they are out in the fields with their family, earning a daily wage cutting wheat crop. School and education is not a priority. One of the older children says the schools are no good after primary, and that the teachers are not committed. So they might as well drop out and earn some money. Education is not seen as an escape from poverty. Especially when families keep growing, the older children have no choice but to drop out and work. Next: Of bogeymen and willing preys?